Hi lovelies! 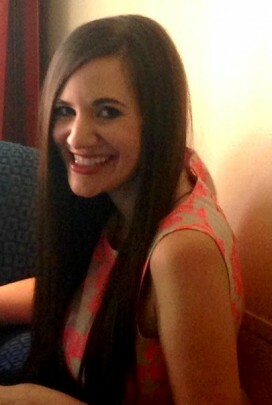 I hope that you all had an absolutely wonderful weekend! Mine was great as on Saturday I got to style the new LOFT Fall collection and take some pictures that I’ll reveal soon. The new merchandise is amazing with so many bold, rich colors and prints. I have a feeling that the gorgeous Bordeaux shade is going to be my favorite for the season. Then yesterday I got to attend the Indy Grand Prix in Sonoma with my fam! It was a fantastic race with even better company, and we ended the perfect Sunday by going to one of my favorite restaurants in Sonoma, where we went for my birthday last year. Since I’ve been gone a lot recently, I haven’t been doing a whole lot of cooking at home. But the other night I knew that I wanted something fresh and easy while using up some of the produce I had in the refrigerator that was on its last leg. I decided to create an easy, healthy delicious meal. 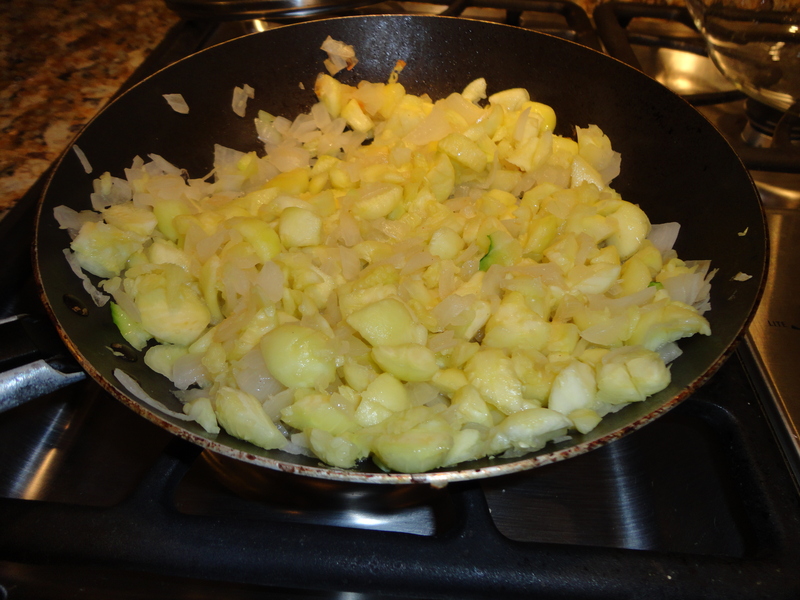 In a large pot, combine olive oil, garlic and onion. Saute for about 5 minutes, stirring often. 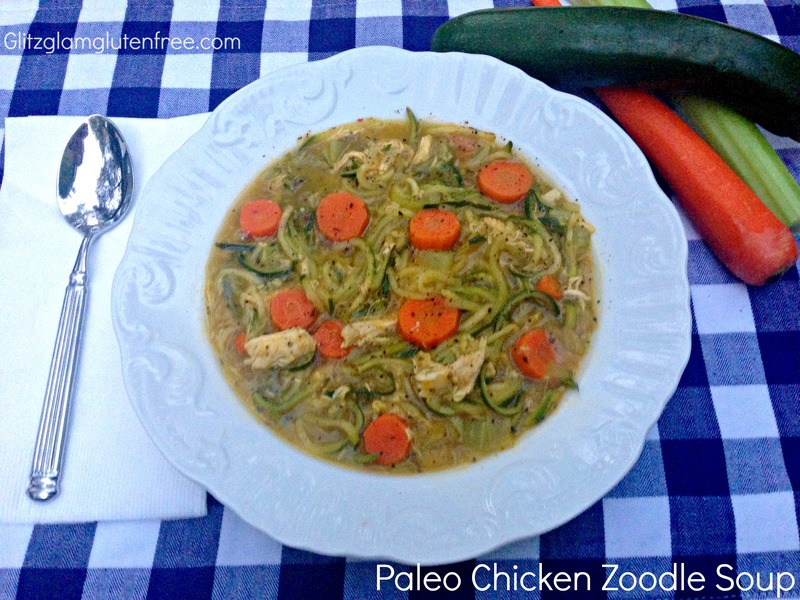 Chop zucchini, yellow squash and carrots in chunks and add to pot. 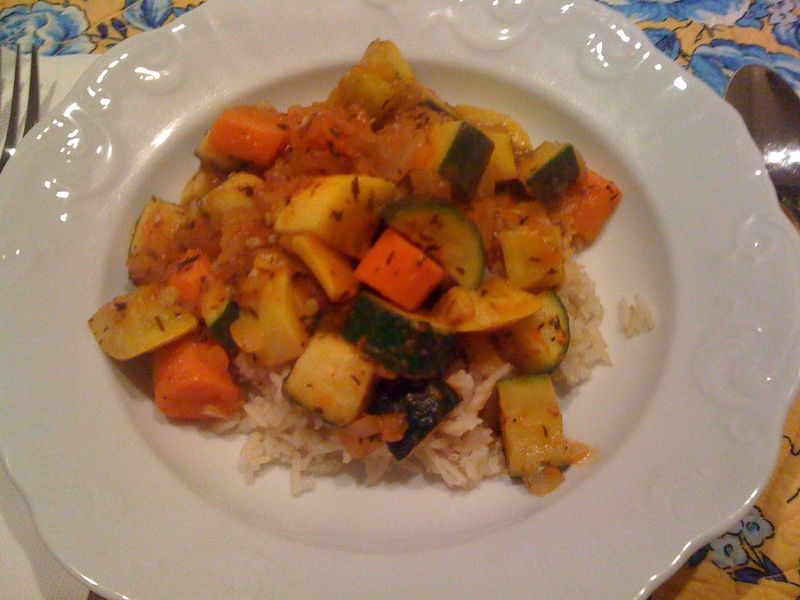 Let the veggies cook down for about 10-15 minutes or until soft. Salt and pepper to taste and add herbs, stirring until well combined. Add tomato sauce to coat all ingredients, allowing it to heat for about 5 minutes. This is such a delicious recipe and so incredibly easy. 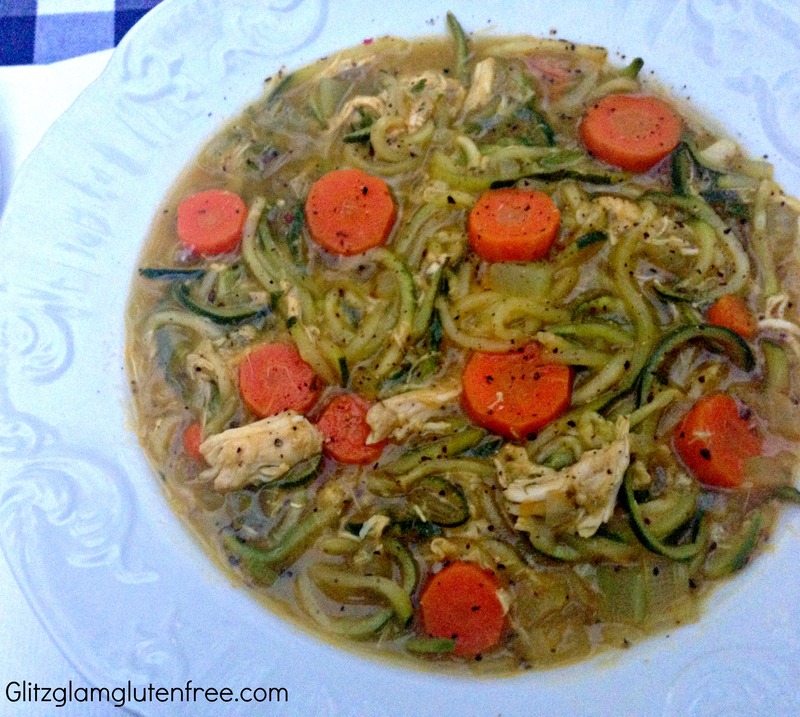 It tastes delicious on its own but I served mine over quick-cooking brown rice to create a complete meal. It would also be great with quinoa or even just a fresh, crusty bread. This would be also be the perfect, easy dish to make for unexpected company as it tastes much more complicated than it actually is to make! -What dishes do you make when your veggies are on their last leg? Hi lovelies! Happy Friday! Do you guys have any fun weekend plans? I’m finally feeling better so I have some fun plans in the city on Saturday with the girls and am going to try to keep it a little low-key today and Sunday just to ensure I’m fully healed. Not only does my body feel better but I did a huge room clean on Wednesday and am feeling much better about things! And remember how much I wanted to get vegetables back in my diet? Well I’ve done just that and after having a salad for lunch I decided to up my game a little last night. In the past I’ve mentioned that I’m not really a cook, but I’m trying to change that in 2012 and tonight was another step in that direction. After my successful quinoa dinner last week, I decided to use my favorite grain again in tonight’s dinner! 1. 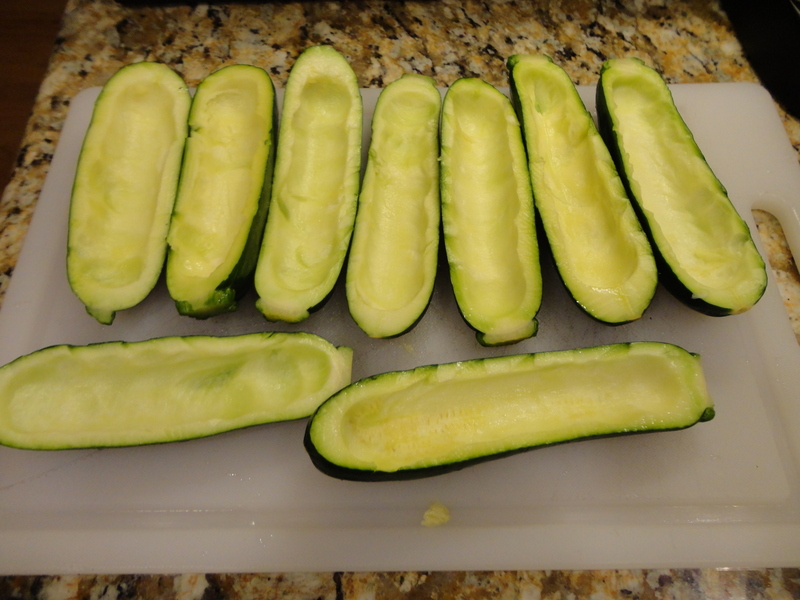 Hollow out zucchini with a melon scooper (a spoon will also work) and save all the insides of the zucchini in a bowl. 2. 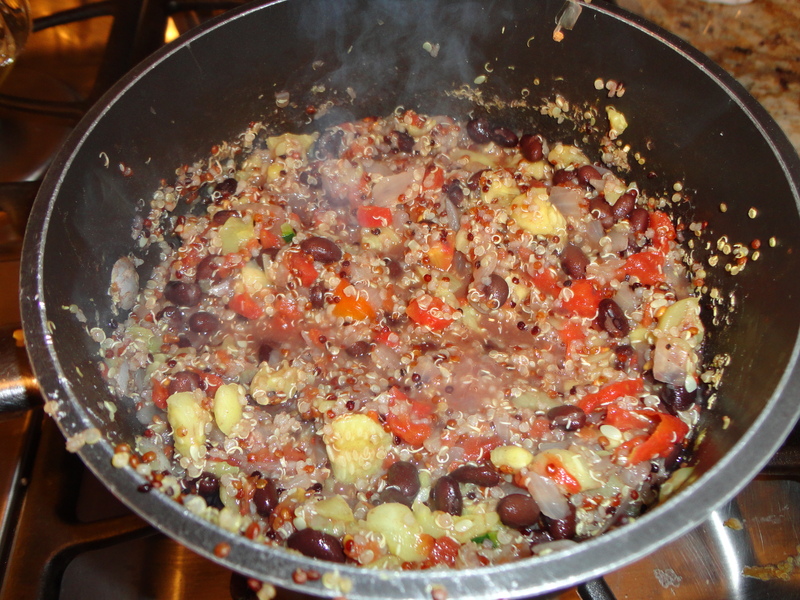 Combine 1/2 cup quinoa with 1 cup water (or broth) and boil. Once it starts to boil, cover and let simmer. The tricolor actually got done quicker than most and only took about 10-15 minutes for the water to reduce and the quinoa to fluff up. 3. While waiting for your quinoa, chop onion and saute. 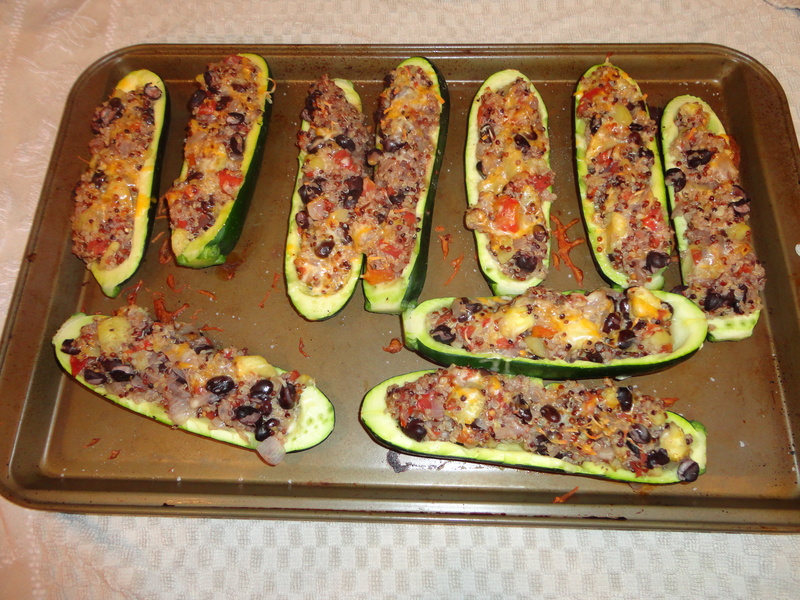 Once onion is soft, add the inside of the zucchini. You could chop up the zucchini scoops beforehand, but I just did it as they cooked with the end of my spatula in the pan. 4. 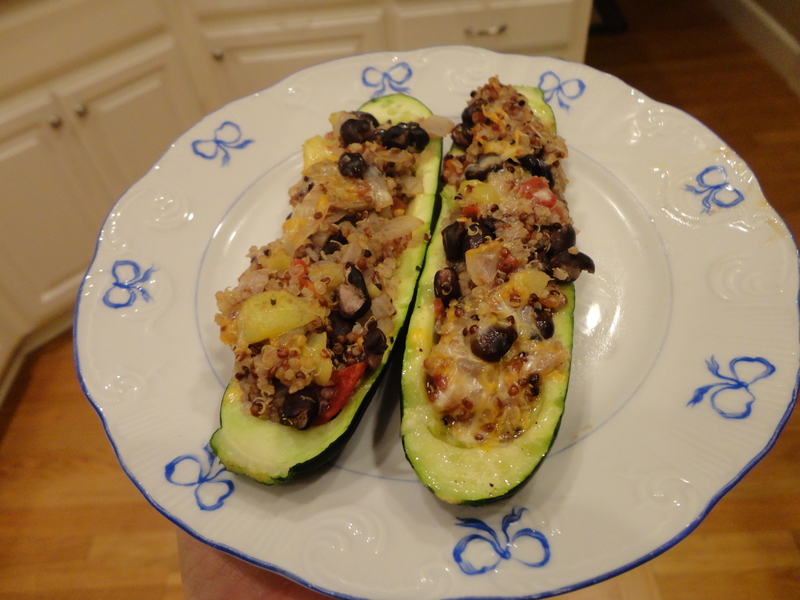 Next, combine the zucchini and onion with the quinoa and add in the black beans and tomatoes. I drained the black beans prior to using but I combined some of the tomato juice with the mixture. Combine well and salt and pepper to taste. This would also be a great time to add corn or chilies! 5. Scoop heaping servings of your mixture into your hollowed out zucchinis. The only hard part about this step was stopping myself from just standing at the stove eating the mixture straight out of the pot… it’s that good. 6. Sprinkle with cheese and cover with a foil tent. Bake in a 400 degree oven for 25 minutes and remove foil and bake for 10 additional minutes. -Do you like quinoa? What’s your favorite way to use it? -Are you into spicy foods?